So, here we are, quite in the Throes of Summer, and my plans for hanging out in the ‘outdoor section of my studio’ and working on more of the Water Paintings have been thwarted by a. computer problems; b. developing a project for the ‘2015 Bodrum Biennial’; c. doing menial labour to raise funds in re: ‘a’; and d. covering my large outdoor drawing table with mounds of cut tiles for a ‘concrete camouflage’ home intervention, which makes it rather impossible to start any paintings at this time..
As an all-purpose solution, I embarked on a few ‘Water Collages’ – which I can work on comfortably in the ‘indoor section of my studio’ – while listening to the radio and avoiding ‘c’ from the above list. 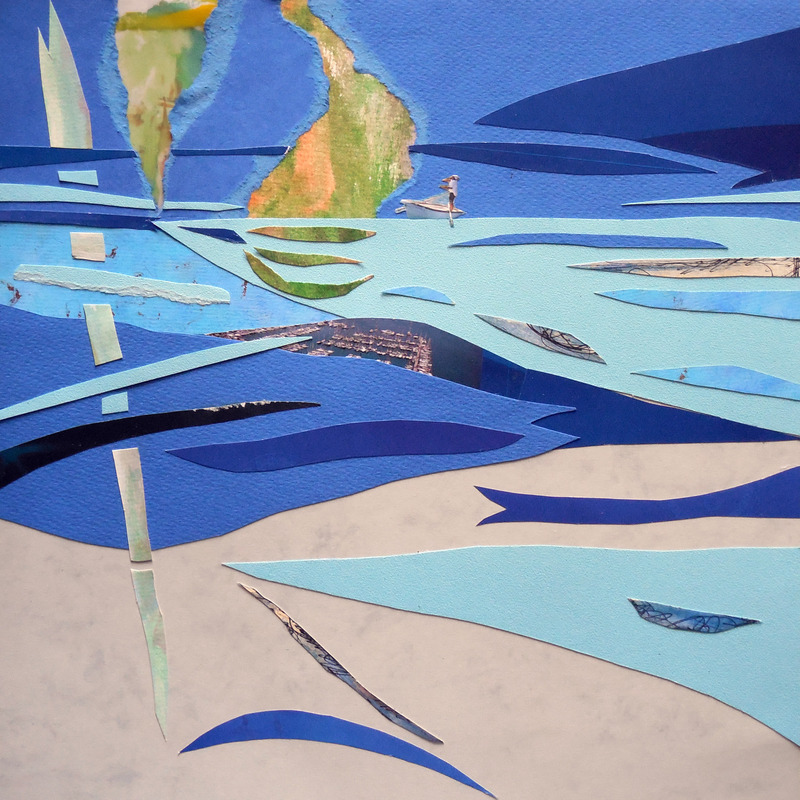 The paper is all ‘leftovers’ – the final collages are about 12 inches (30 cm). Who knew there was so much blue paper in the world? 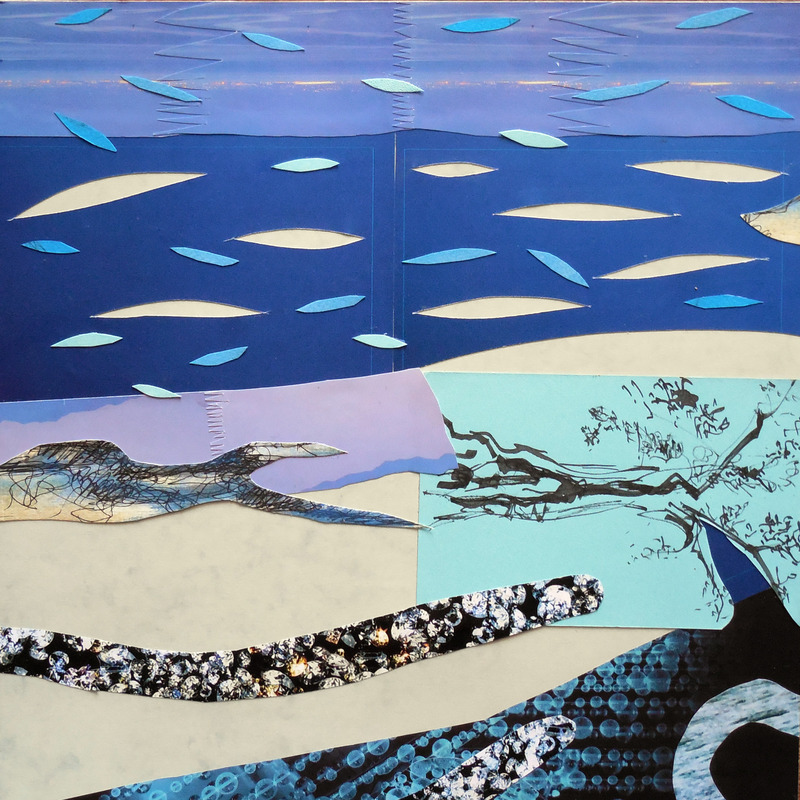 This entry was posted in Art, Bodrum, Collage, Contemporary Art, Decoration and tagged art, Bodrum, collage, Deborah Semel Demirtaş, environment, paper, Sarıkopek, water. Bookmark the permalink.